On this episode, Michael and Pax take a detour from traditional Westerns and talk about Blake Edwards' murder mystery in which Western movie star Tom Mix (Bruce Willis) and Western legend Wyatt Earp (James Garner) try to catch a killer in 1920s Hollywood. Also starring Malcolm McDowell and Mariel Hemingway. 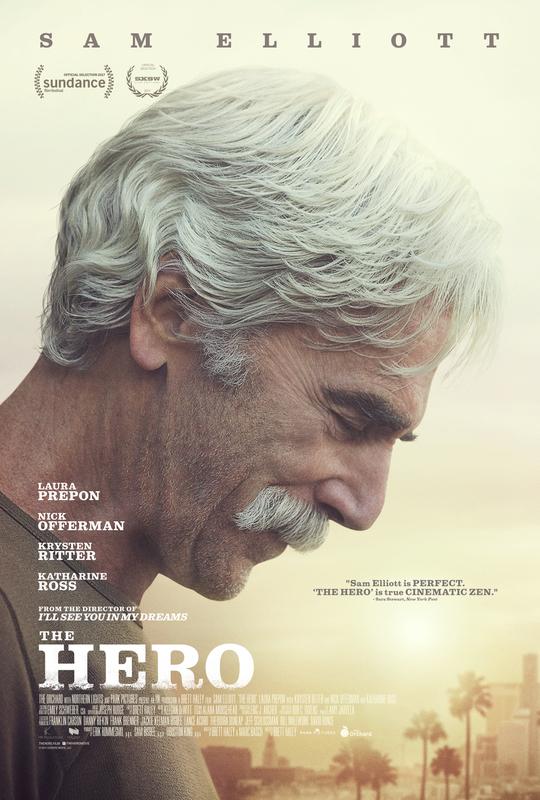 And as long as we're covering not-quite-Westerns, Michael shares some thoughts about Brett Haley's The Hero, starring Sam Elliott, Laura Prepon, Nick Offerman, Krysten Ritter, and Katharine Ross. My opinions on Blake Edwards are pretty mixed as well. Appears that he wanted to actually be making movies 20 years before he actually was since he dipped into the comedies and slapstick stuff a lot. A I think his best stuff was in the early to mid-60s. The early Pink Panther films, The Great Race, Operation Petticoat, etc. And Days of Wine and Roses proved that he could do dramas as well. 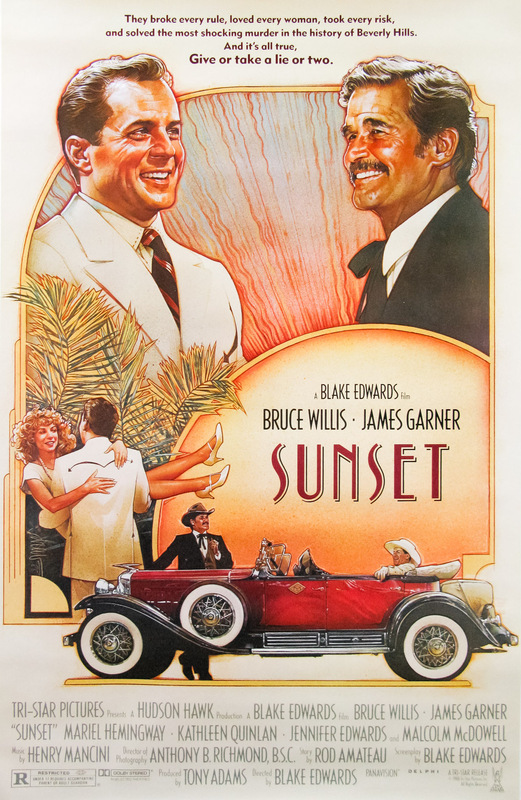 But he also seemed to be trying to mix genres too much in later films as you pointed out in reviewing Sunset. Lots of good comedy/companionship bits, but then veering into a couple of very dark characters. Thanks, Zeke. That encourages me to check out some of his '60s stuff. I've been curious about Operation Petticoat and especially Days of Wine and Roses for a while now. The comedies are pretty good. And you get some very good actors as well. Carey Grant and Tony Curtis in Operation Petticoat. The Great Race is Curtis again, Natalie Wood, and then Jack Lemmon/Peter Falk as the villains and Lemmon is mustache twirling and chewing on scenery in a very fun way. I view Days of Wine and Roses a bit like Breakfast at Tiffany's in that I find it quite depressing at times. Nice! I love all those people. I've put all three movies on my Watchlist. Thanks!